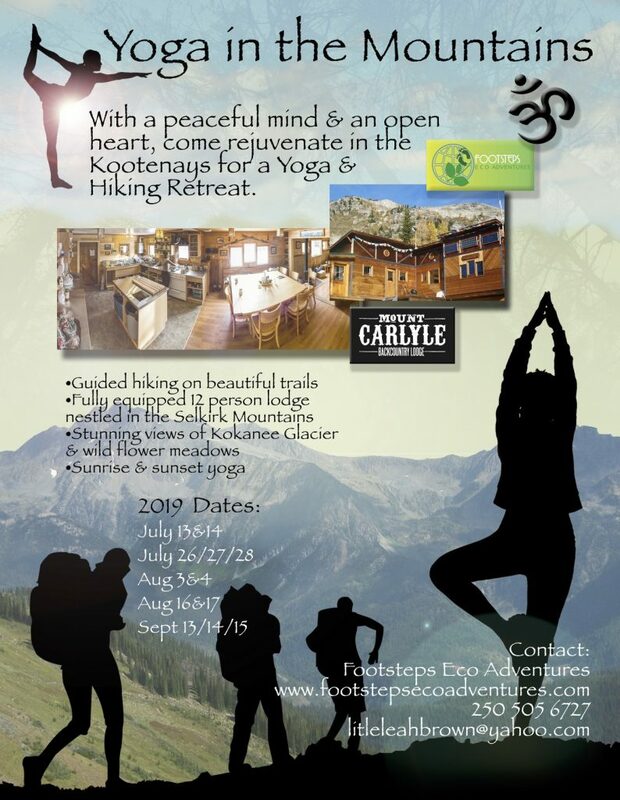 Join us to hike in the alpine to explore, practice open air yoga, and meet new like minded women and friends. This years retreats will have a special focus for each one. July 13/14 at Mount Carlyle will be beautiful flow yoga with meditations. There will an art therapy workshop included. The moon is almost full this weekend and Mount Carlyle will be bathed in her light. Investment $375. Sept 27/28 will be a new moon weekend at Brennan lodge focusing on restorative and yin yoga. A plant based registered Holistic nutritionist will be joining to share some knowledge. Many of our hikes take place in the Valhalla and Kokanee Provincial Parks. These vast parks are nestled in the Selkirk ranges and are bordered by the grand Slocan and Kootenay lakes. Choose your own adventure by embarking on a melo half day trip, more challenging full day or a multiday camping trip. Set your own pace and take in the magic mountain passes, glittering alpine lakes, ancient cedar stands and array of wildlife. Superb wilderness camping is available. Soak in the beauty of the stars and rise with the sun in the mountains.